Do you ever feel like doing nothing but just reading a book the whole day? 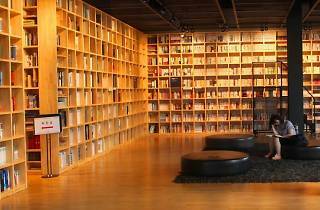 If so, then a visit to the Paju Book City is necessary to make your dreams come true. While the library does not lend any of its books, there are over 200,000 poems, novels, and essays here. You can also enjoy a cup of coffee or bingsoo while reading a book, or work on a computer in the central space. In addition, many authors have permanent exhibitions and workshops in the cultural center. There are a total of three floors with different hours: the first floor is open from 10am to 5pm; the second floor i open from 10am to 8pm, and the third floor is open the entire day.